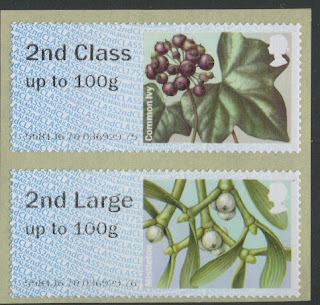 We now have supplies of the recent Post and Go stamps issued for the period of Remembrance and for Winter/Christmas mailings. The default version has the Ministry of Defence de&s logo, but buyers can choose the 'posting to Northern Ireland' option, whereby the obvious origin is hidden and the stamps are printed without the logo. 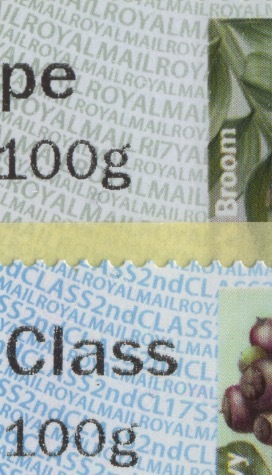 On the other reel, the Machin Post and Go stamp has the same two options. We already have the original MA13 version on our webshop but obtained some more with the poppies, only to find that they are undated. The only other M-series machines which have produced undated Machins with the current range of 6 values were those at Mount Pleasant (from 3 June 2015, and BFPO Northolt (from 27 June 2016) until M011 had undated stamps added earlier this year. Stuart Leigh's Catalogue only shows this with the logo, but the no-log version may have appeared before now. Some of the latest Abbey Wood stamps are already sold out, at least in collectors's strips, though we have 1st class singles. We are attempting to restock with the sets and will notify customers as soon as we have definite information. Update: No Poppies were available, but more Machins have been obtained, a mix of undated and MA13. 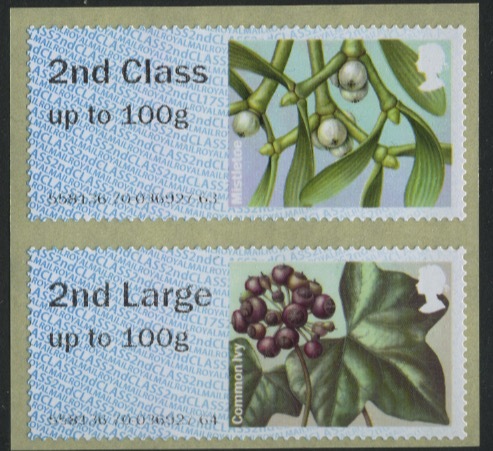 A new printing of these stamps was introduced at Post Office branches from 13 November 2017. 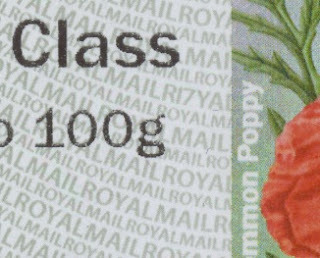 The 1st class stamps have the year code R17YAL and 2nd class have CL17S. A correspondent writes that "Sheffield are dispensing the 2017 Poppies, but not Winter Greenery so far." A chance for local collectors to get the December datastring on Poppies.